For centuries we’ve mined mineral deposits from the Earth’s crust, harnessing their unique qualities as materials for use in construction. But it wasn’t until more recently that we noticed how two minerals in particular, granite and quartz, lend themselves perfectly to the home. 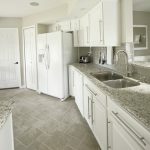 Today, their combination of practicality, robustness, affordability, and appearance, have made them the two most popular choices for kitchen worktops. 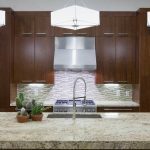 Let’s face it; there aren’t many better ways to bring nature into your home than with a huge slab of natural stone in your kitchen. But how do these products of nature become surfaces we cook and eat breakfast on top of? In this article, you’ll discover more about the journey of these two stones to becoming kitchen worktops, and no doubt kindle the desire to want a piece of your own! Formed over millions of years from compressed molten rock under the Earth’s surface, granite is among the most popular choices for a kitchen worktop – and it’s clear to see why. I mean, who wouldn’t want a piece of this beautiful light, grained igneous stone taking centre stage in their home? But the fact is granite has a lot more to offer than being a design statement and a talking point. 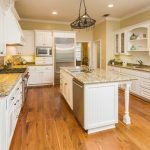 With its strength, durability, and incredible heat resistant qualities, granite can put up with a lot of abuse, making it perfect for the kitchen. The coarse-grained rock is very resilient thanks to being made up of interlocking mineral crystals such as quartz, mica, and feldspar. This mixture of minerals – which often includes others – is also the reason why each piece of granite is individual and unique. The white specks you see in granite is feldspar; the black is usually mica, and the light grey veins are quartz. As granite is mined and cut into slabs of around 4 to 5 feet wide and 7 to 9 feet long, it’s an ideal size for a kitchen worktop. 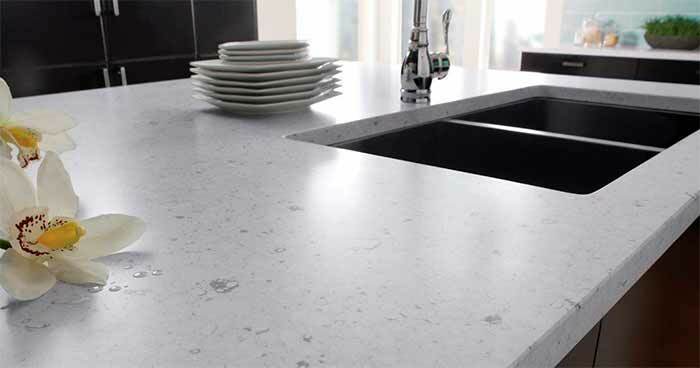 Made from a mixture of around 93 percent quartz – the second most abundant mineral in the Earth’s continental crust – quartz worktops are actually not only natural stone. 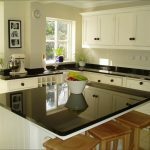 A resin binder is used to harden the quartz further and make it into a surface suitable for a kitchen worktop. Resin is found naturally in trees and plants, however, in this case, the resin is a synthetic compound, specially made to ensure a smooth and flawless outcome. One advantage of quartz worktops is the wide variety of colours and options that they come in. You can pick your colour, customise the edges of the worktop, and even go for a pattern that mimics the look of other materials like marble and granite.